Which is the best shower filter for your home? If you feel like your showering time is not the pampering experience you are expecting it to be, it may be high time to do something about the quality of your water supply. The best way to improve the quality of your water is to install whole house water filter system with contaminant removal and scale inhibiting effects. However, if you live in a rental and you move a lot, installing a whole house water filter system may not be a feasible choice for you. This is where a shower filter comes in handy. 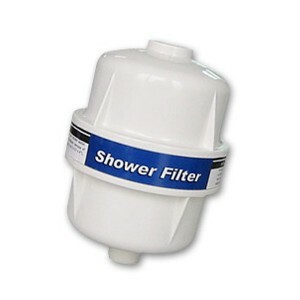 Shower filters are practical filtering devices that contain either granular activated carbon, ceramic spheres, KDF filter media or a combination of these and target three main types of tap water impurities – chlorine, scale and bacteria. How to tell if you need to install a shower filter and which shower filter is right for you? When we think about the benefits of filtered water, we usually think about the benefits we draw by drinking it or using it to prepare food, and rarely consider its benefits for our hair or skin, although showering and bathing with filtered water also comes with several advantages. Just like our bodies, our skin and hair are not immune to the harmful effects of chorine, fluoride or other contaminants. 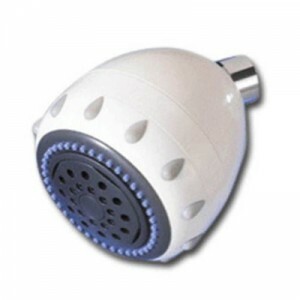 Installing a shower filter in your bathroom may seem like going overboard with precaution, but the fact of the matter is that your skin and hair can benefit a great deal from the pampering effect of a shower filter. Which are the most important benefits of shower filters, and what kind of shower filter should you opt for? 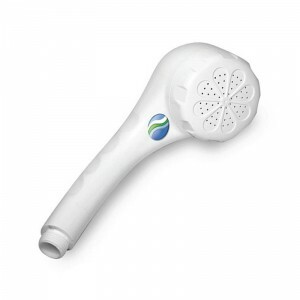 The Puricom Ivory GAC KDF Inline Shower Filter is a versatile device that can be connected to any bath or shower in a matter of seconds. Shower filters are an affordable way to remove any chemicals or contaminants either added or naturally occurring in your tap water. These ingredients can cause skin irritation and dryness, or cause respiratory problems, if inhaled. 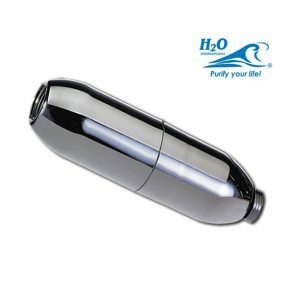 Unlike most shower filters that have to be replaced in full after the end of their service life, this inline shower filter has a removable cartridge inside that has to be replaced after approximately 5 months of use. Shower filters can help you to enjoy blissful shower times without the risk of inhaling chlorine or other harmful contaminants. Chlorine and other chemical disinfectants can break down the natural protective oils on your skin and hair, making them dried out and flaky. By choosing the right shower filter, you’ll be able to enjoy all the benefits of a relaxing shower, without exposing yourself to water that is hostile to your skin and hair.